The Club plays matches in a number of Leagues and County Competitions. 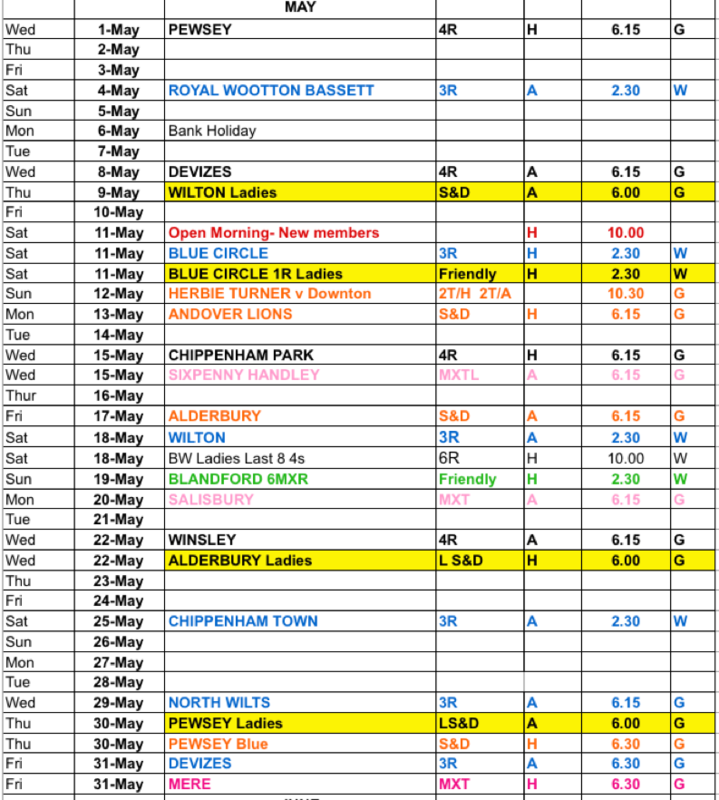 The Ladies play in the Salisbury and District Triples League and in the Westbrook Mixed Triples League, and some Friendlies at the same ground as the Men are playing their matches. 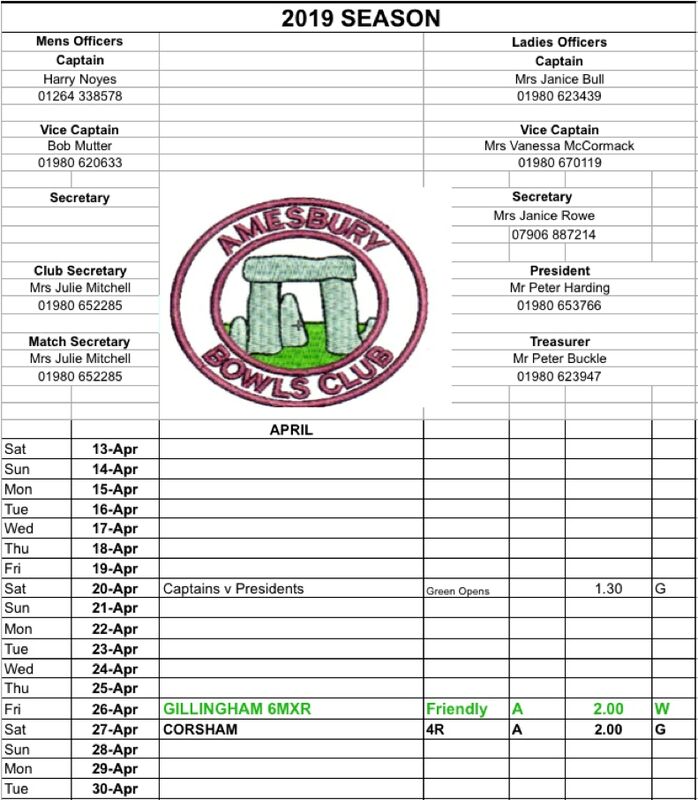 The Men play in the Salisbury and District Triples League, The Wiltshire 3Rink and 4Rink Leagues and the Westbrook Mixed Triples League. The Club also play a number of mixed Friendlies against clubs in Wiltshire and surrounding counties and entertains each season a number of Touring Teams from further afield.